Planning permission has been granted for the new Cyprus Cultural Centre which will be 'one of the most significant new works of architecture in Cyprus'. 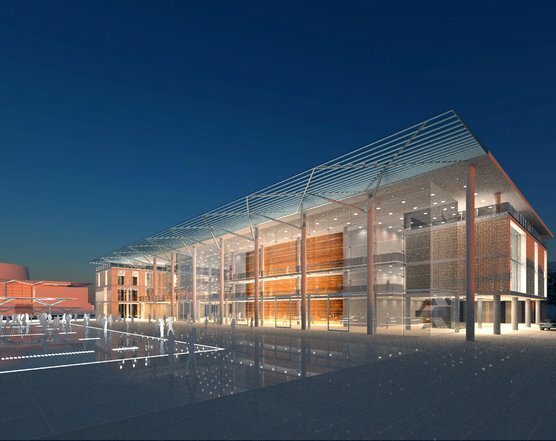 Hopkins Architects were appointed in March 2007 by the Cyprus Cultural Foundation to design a new National Venue for Performing Arts in Nicosia, Cyprus. The Cyprus Cultural Centre will house 3 main performance spaces linked to a generous transparent foyer space facing on to the new Civic Square. The spaces consist of a 1,400 seat Main Concert Theatre, a 500 seat Recital Hall and a Rehearsal Hall that can also be used for public performances. The project is currently in the detailed design stage and is due for completion in 2012.